A portable printer can be the ultimate addition to any barcode system. If you can scan, print, and stick labels on the go, your personnel can be more efficient and accurate in their day-to-day tasks. 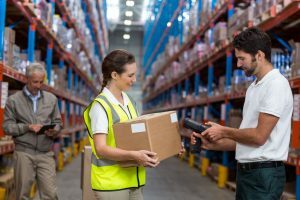 Oftentimes, companies will adopt a barcode system and overlook the need for mobility in more than just their barcode reader. They falsely assume that as long as their barcode reader is portable, they will have the most efficient operations possible. However, they fail to account for the time needed to travel to and from the desktop label printer to collect and use their labels. Luckily, a portable printer can change all of that. Portable printers, or mobile printers as they are often called, allow businesses to improve inventory management and customer service both in the front and back of house. With advanced technology, many portable printer models feature innovative designs, large color displays, superior battery management, Bluetooth wireless connectivity, and more. Which model you choose will depend largely on your specific operational procedures, the amount and types of data you wish to track, which barcode labels you choose, and more. At Tri-State Business Systems, we have been providing fortune 1000 and 500 businesses with the barcode equipment and supplies they need to conduct efficient operations throughout their organizations for decades. 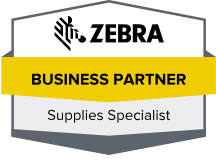 Our industry knowledge and experience combined with our strategic industry partnerships allow us to provide our customers with recommendations on the system and supplies that will best meet their current and future needs. We can even provide customers with barcode software, custom programming, site surveys, and more. If you own a business in Bridgewater, Piscataway Township, Edison, New Brunswick, Franklin Township, or the surrounding cities and are interested in placing an order for a portable printer, a barcode reader, or any other barcode system equipment or supplies, contact us today for more information. We can help you determine which model will best meet your needs, and we look forward to serving you!